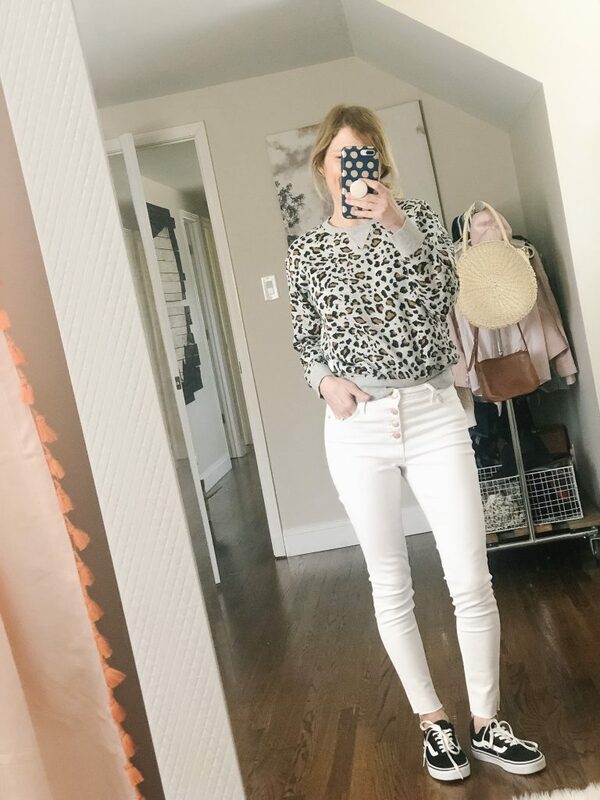 These white jeans are pretty amazing (and affordable), so I thought it was only appropriate to share 7 ways to style them! They are 100% not see through, and the button fly detail is an added bonus. 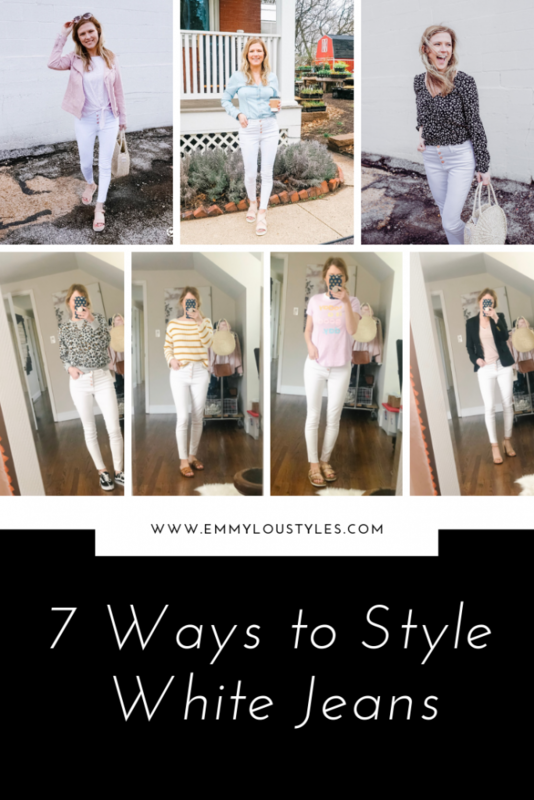 I have rounded up 7 easy ways to style white jeans all in one place for you. I even have a You Tube video too if you prefer to see them that way. Just click here! 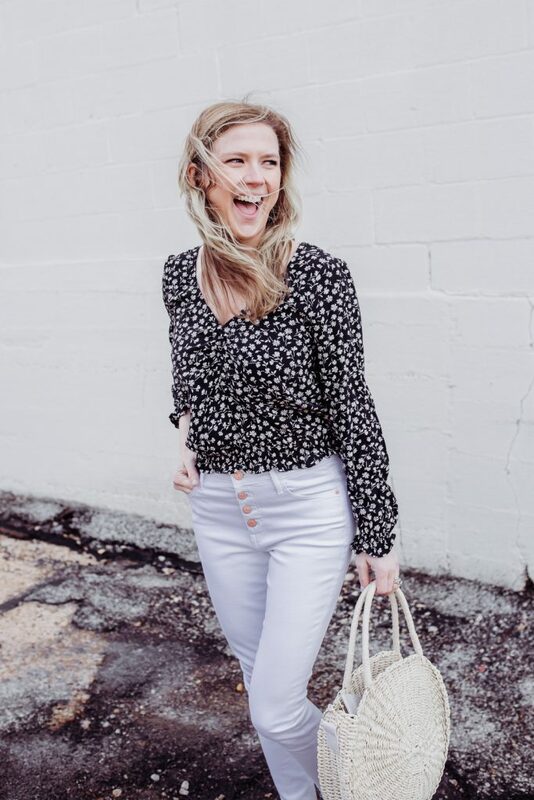 A floral, feminine white top is the perfect option for white jeans. This look is great for a date night or the office. 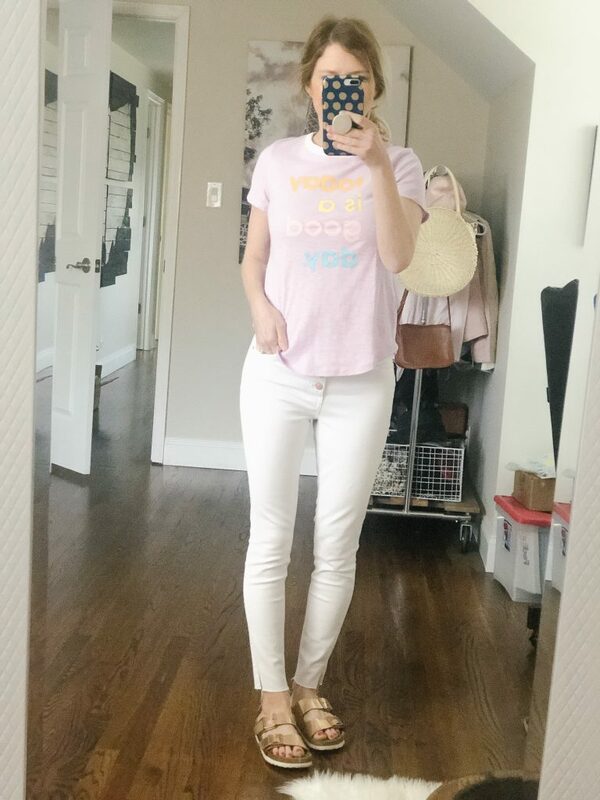 Throw on your favorite graphic tee and Birkenstocks and you’re ready for a casual day of errand running. A blush colored moto jacket paired with a tie front top is another way to dress up your white denim. 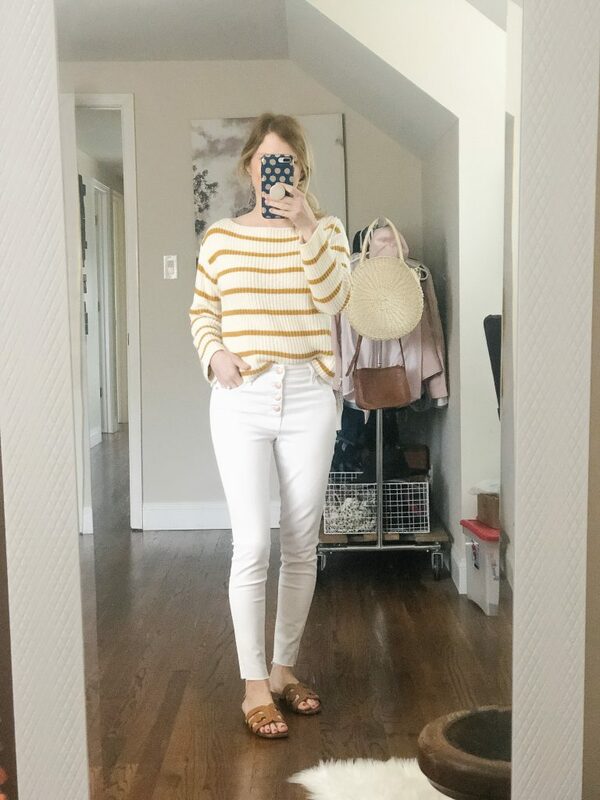 Pair your white jeans with a lightweight spring sweater. This is another great option for the office! 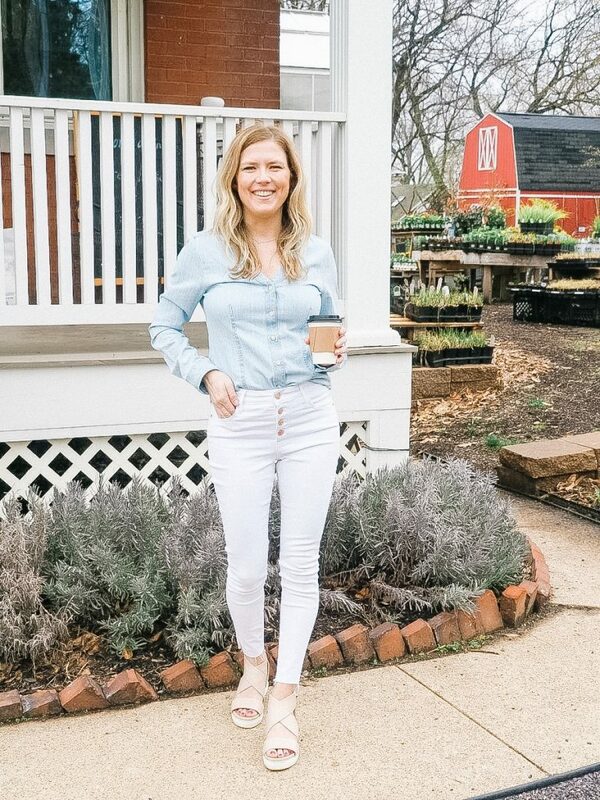 Everyone has some chambray in their closet! Throw on your favorite button up and you’re set! 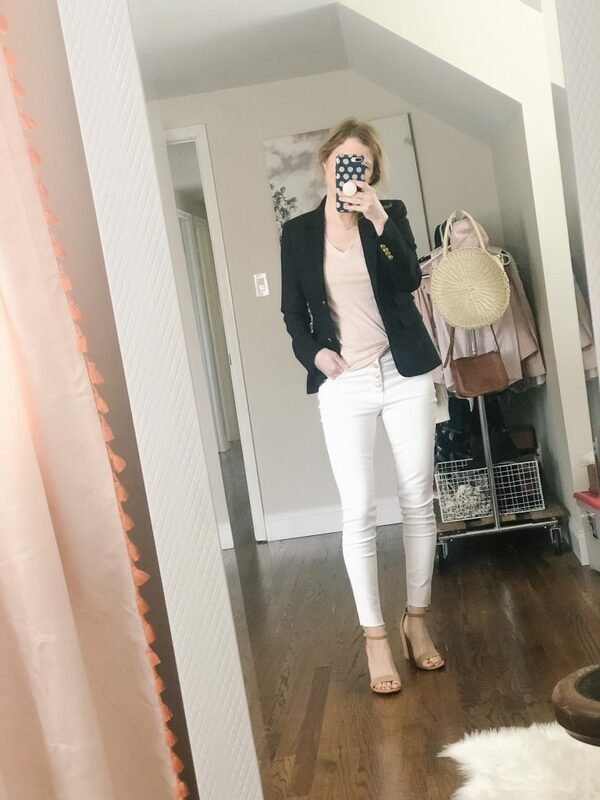 A sophisticated blazer and some strappy block heels will elevate your white jeans! Last but not least, here is another every day running around on the go look. A simple but cute sweatshirt paired with your favorite sneakers! 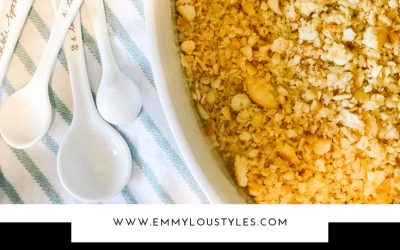 Be sure to subscribe to my You Tube channel where you can watch this style video and various others to help make getting dressed everyday FUN!